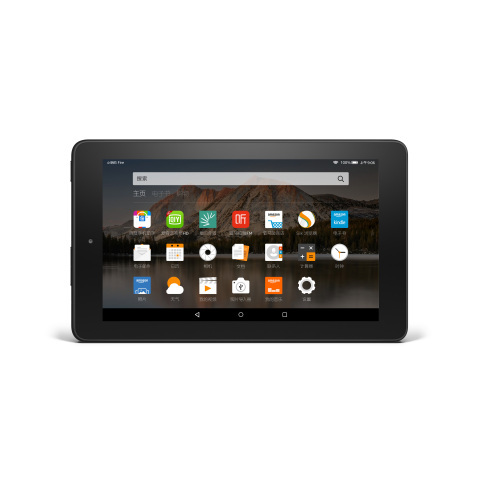 BEIJING--(BUSINESS WIRE)--(NASDAQ: AMZN)—Amazon today announced that Fire, its fastest-selling tablet ever, is now available to customers in China for just RMB 499 Yuan. With access to hundreds of thousands of Kindle books and with English language learning features like Word Wise, Fire is an easy and affordable option for customers who want to read or learn English. Amazon China also today announced an agreement with Baidu, a leading internet services company, to provide a search, apps, and online video experience on Amazon tablets in China. Amazon today announced that Fire, its fastest-selling tablet ever, is now available to customers in China for just RMB 499 Yuan.